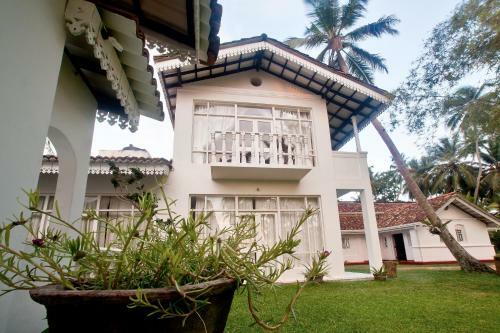 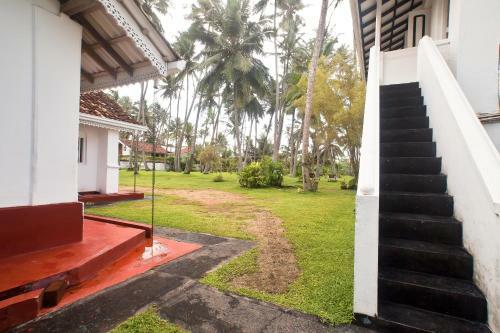 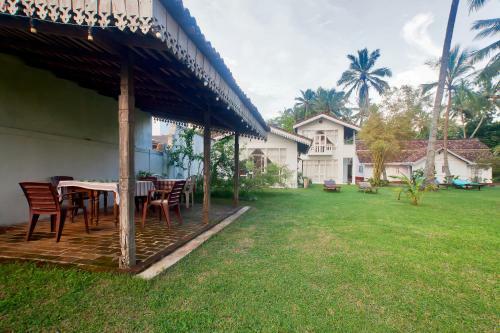 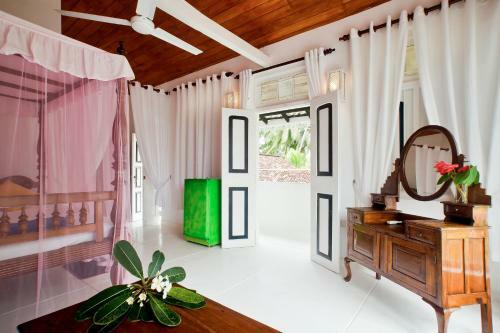 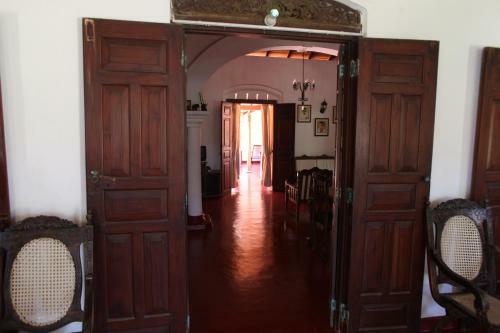 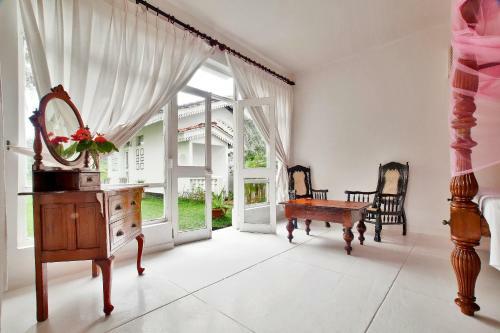 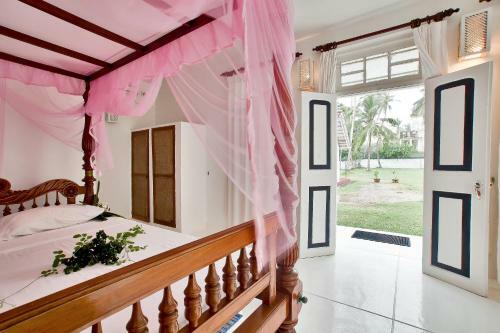 Chitra Ayurveda is a beautiful residency situated in the town of Bentota. 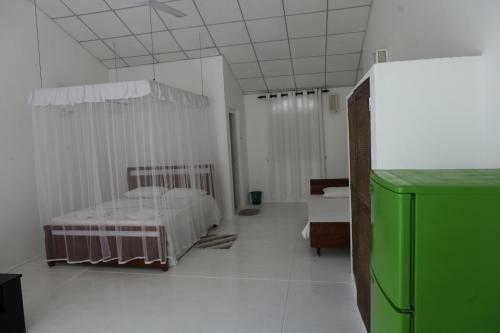 Featuring stylish rooms with elegant décor, guests also enjoy free internet access and free parking space. 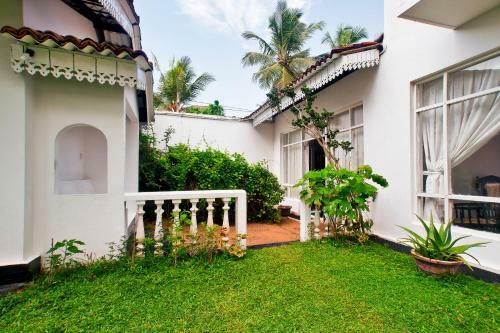 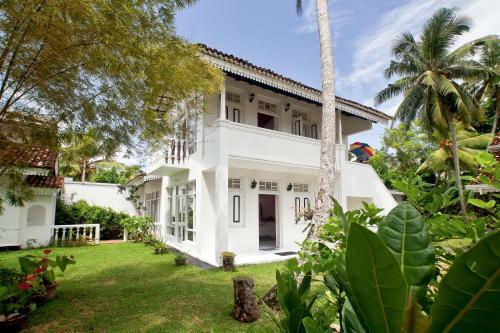 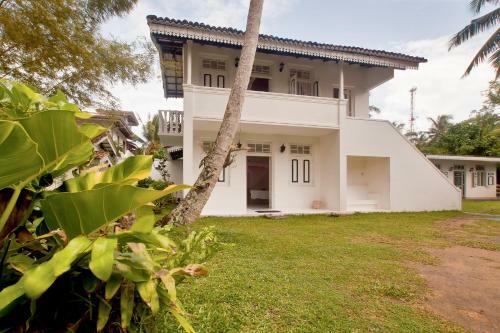 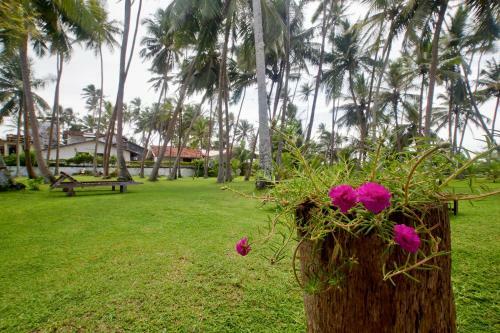 Only 300 metres from Bentota Railway Station, the accommodation is also just 50 metres from the beach. 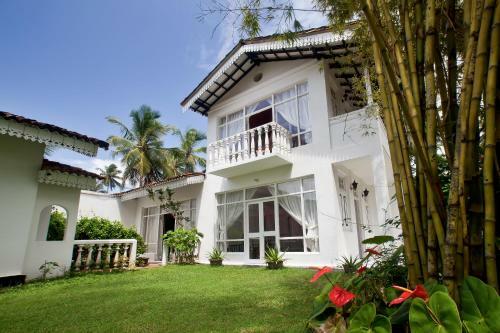 It is 80 km from Colombo City and 110 km from Bandaranaike International Airport. 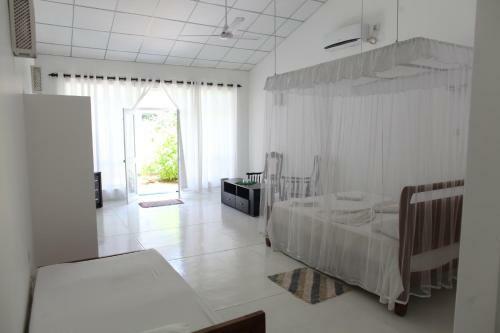 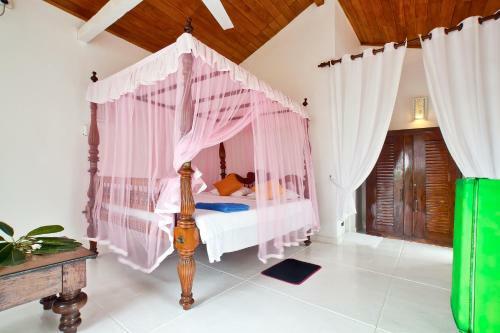 Each cosy room is cooled with air conditioning and fitted with a mosquito net, ironing facilities and ample work space. 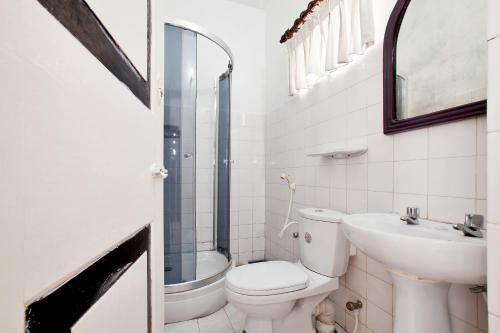 The en suite bathroom features a separate shower area and free toiletries. 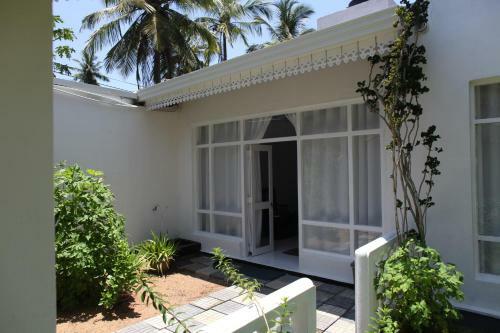 Guests also enjoy direct access to the garden. 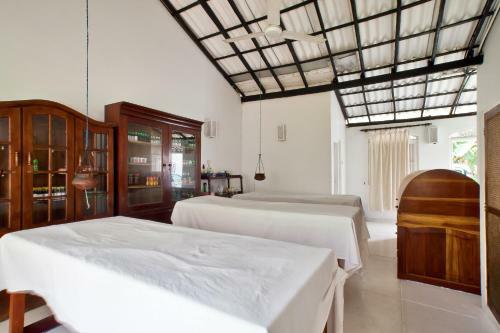 At Chitra Ayurveda, guests can enjoy traditional Ayurveda spa rituals as well as relaxing body massages. 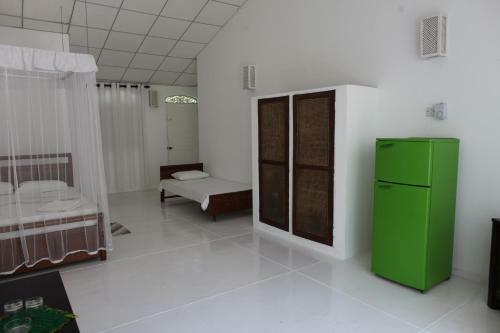 Other facilities include car rentals, shuttle services and luggage storage space. 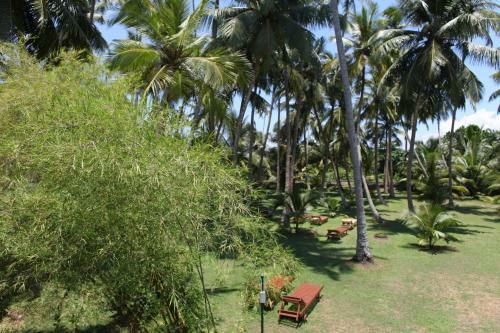 Local Sri Lankan meals can be enjoyed at the in-house restaurant. 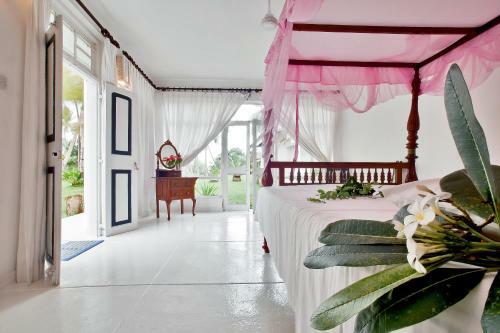 For alternative dining options, room service is available and breakfast can be served in the room upon request.